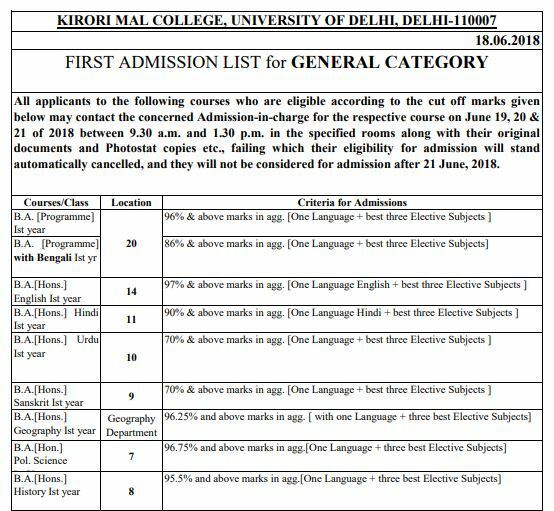 The Delhi College of Arts and Commerce has a cutoff of 98.50 per cent for BA (Hons) in Journalism, at the same time, the LSR College has a cutoff of 98.25 per cent for BA (Hons) in Psychology. On the Last year of 2018, the highest cutoff marks were 99.66 per cent for BSc (Hons) in Electronics in SGTB Khalsa College. In humanities subject, the Khalsa College had set the highest cut-off at 99 per cent for BA (Hons) in the stream of the Political Science. In science stream this year on 2018, the highest cutoff is 98 per cent for BSc (Hons) in Physics in Hindu College. Sri Guru Tegh Bahadur Khalsa College also has a cutoff of 98 per cent for its BSc (Hons) subject in the Computer Science course. The St Stephen’s College was the first college to release its cutoff. For commerce apprentices, the cutoff for Economics (Hons) was pegged at 98.75 per cent, and 98 and 97.5 per cent for humanities and science students correspondingly. 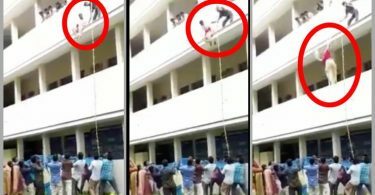 The cutoff for English (Hons) was around 97.5 per cent. The Shri Ram College of Commerce today released its first cutoff for BCom Honours and BA Hons in Economics for the academic year 2018-19 and the highest score for the same is being 97.75 and 98.50 per cent correspondingly for general category. The varsity threw open its admission doorway for all students of the various undergraduate courses on the 15th May. The registration for these courses ended on the 7th of June. As for now, The University has declared a total of the five cut-off lists with the notification for the first cut-off planned and scheduled to be issued on this 19th June. 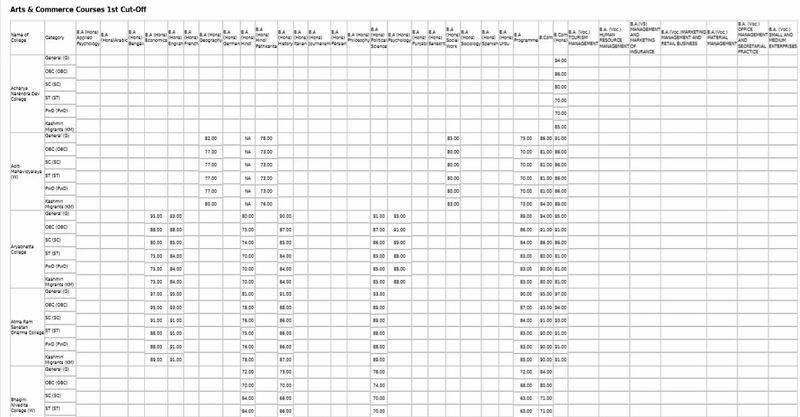 The total number of male candidates are 1,44,248, women 1,34,297 and other candidates 29. As per the official quote from the university, that there are around, 2,78,544, the number of students have made payments. Last year, in 2017, around 2.20 lakh students had made payments. 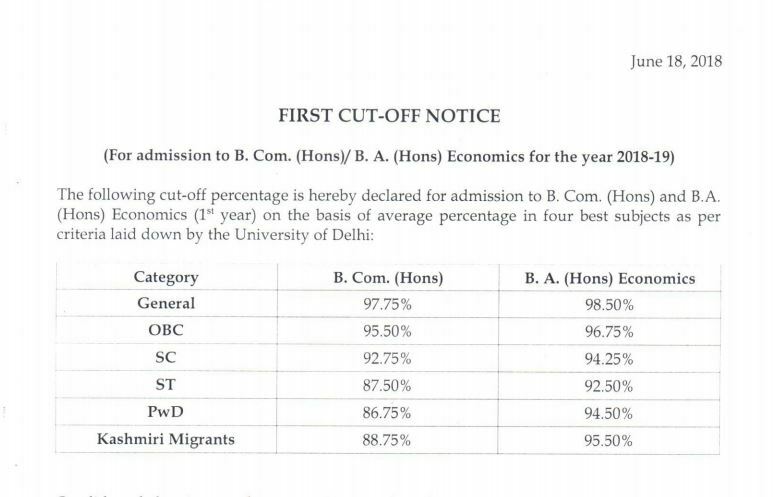 BA (programme): The highest cut-off is 98.75 per cent in Lady Shri Ram College. 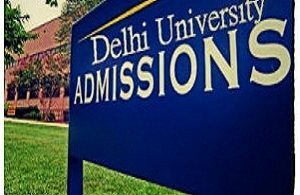 BA (Hons) in Journalism: Delhi College of Arts and Commerce has a cut-off of 98.50 per cent while Kamla Nehru College and LSR demand 97.75 per cent. BA (Hons) in Political Science: Khalsa College at 99 per cent. For most-sought after courses like Mathematics, the highest cut-off is 97.25% at SGTB Khalsa College. This is followed by 97% at Gargi College, Hansraj College and Hindu College. 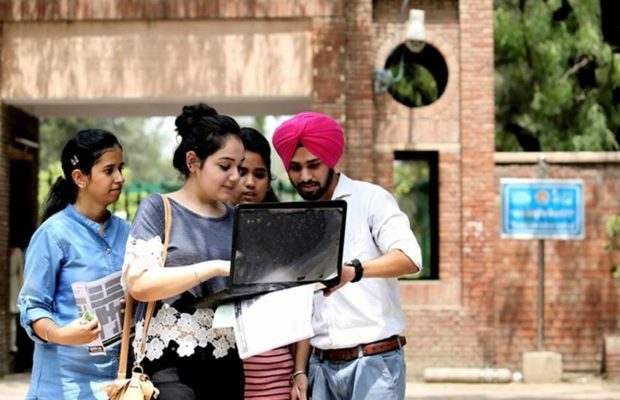 Computer Science (Hons), which saw a 100% last year, is now at 98% at SGTB Khalsa College. Last year, the highest cut-off was 99.66 per cent for B.Sc (Hons) in Electronics in SGTB Khalsa College. 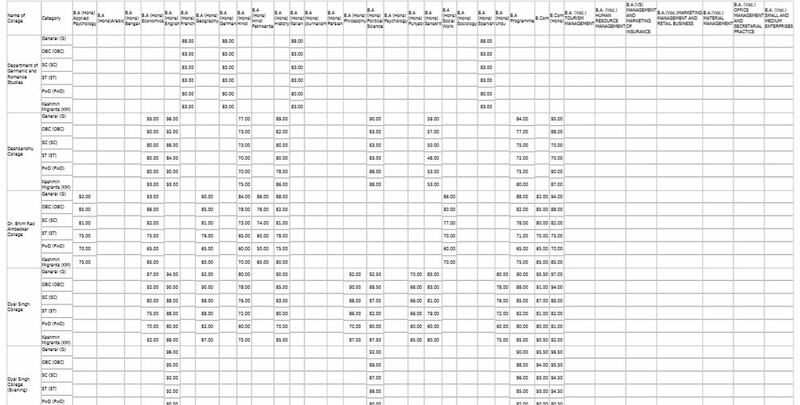 In humanities stream, Khalsa College had set the highest cut-off at 99 per cent for BA (Hons) in Political Science. 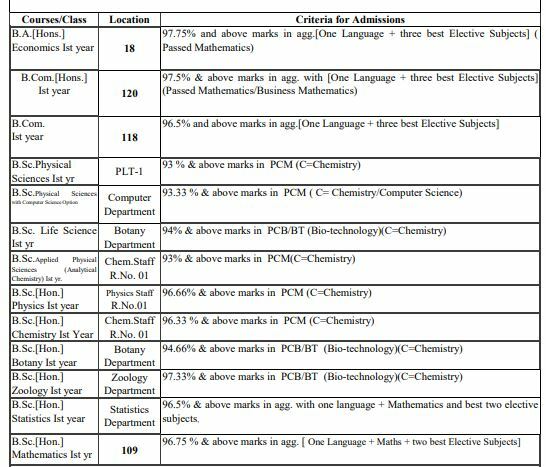 In science stream this year, the highest cut-off is 98 per cent for B.Sc (Hons) in Physics in Hindu College. Sri Guru Tegh Bahadur Khalsa College also has a cut-off of 98 per cent for its B.Sc(Hons) in Computer Science course.